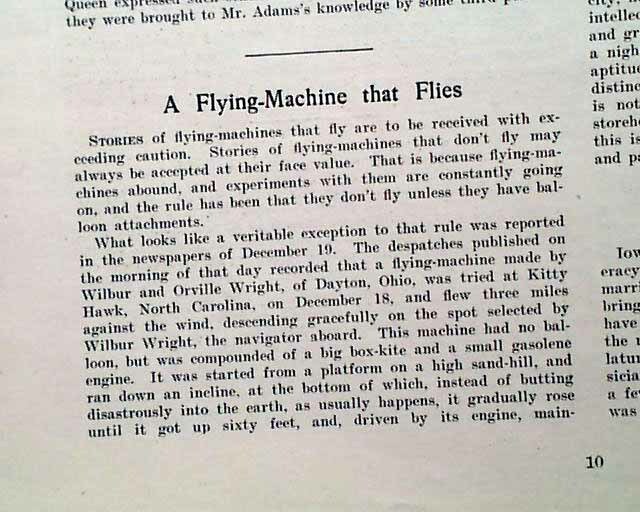 The article begins with a cautious note: "Stories of flying machines that fly are to be received with exceeding caution...the rule has been that they don't fly unless they have balloon attachments. " 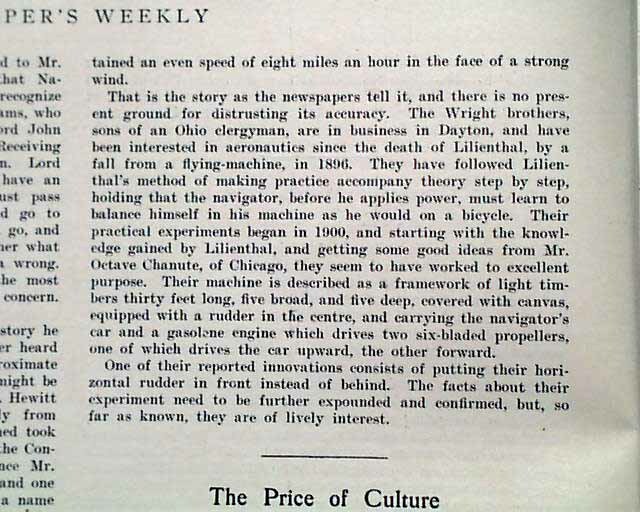 and it continues with: "What looks like a veritable exception to that rule was reported in the newspapers of December 19...recorded that a flying machine made by Wilbur and Orville Wright, of Dayton, Ohio, was tried at Kitty Hawk, North Carolina...and few three miles against the wind, descending gracefully on the spot selected by Wilbur Wright, the navigator aboard. This machine had no balloon but was compounded of a big box-kite & a small gasolene engine..."
It then goes on with further details (see photos for full text). An extremely significant report which was not reported in all newspapers of the day given the number of hoaxes and false reports, as noted in this article's leading statement. 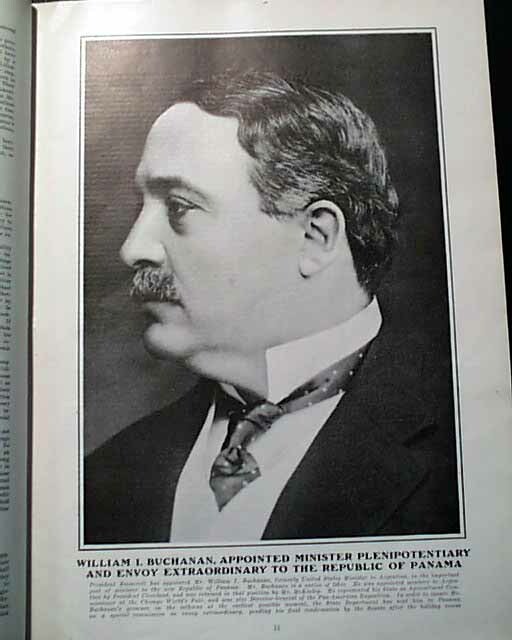 Additionally the centerfold spread is an article titled: "Italian Without A Master. 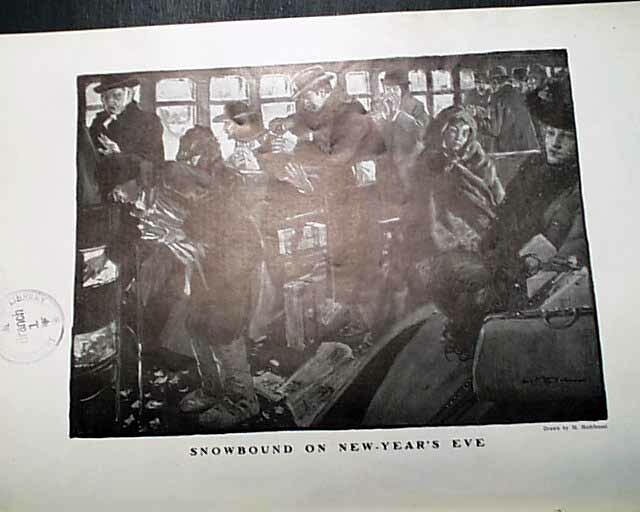 -- By Mark Twain" which includes many graphics (see). 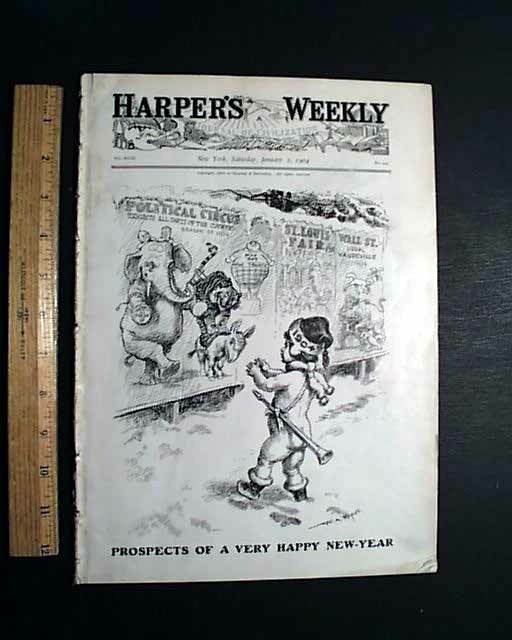 Also included is the "inside" title page (see) featuring a political cartoon by W. A. Rogers: "Prospects OF A Very Happy New Year." 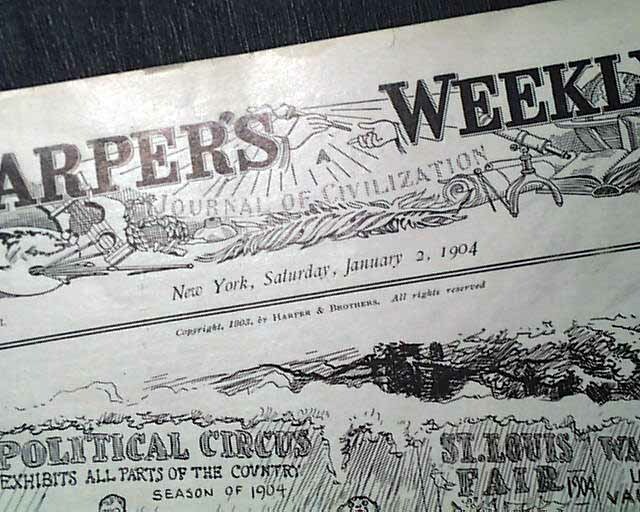 The issue is complete in 30 pages, and is in overall good condition with only minor wear (as would be typical for an item 100+ years old).